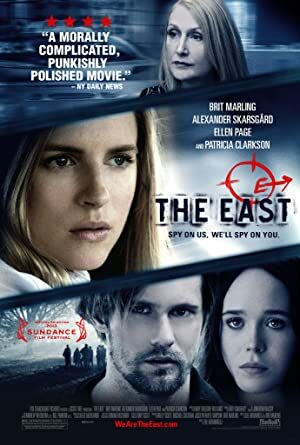 The East (2013) – What's New on Netflix Canada Today! As an agent for a private intelligence firm, Sarah Moss is charged with infiltrating an anarchist group whose attacks threaten her corporate clients. An operative for an elite private intelligence firm finds her priorities changing dramatically after she is tasked with infiltrating an anarchist group known for executing covert attacks upon major corporations. A successful operative for an elite private intelligence firm is tasked with infiltrating an anarchist group known for executing covert attacks upon major corporations.